Hi everyone, I’m Chau, Vietnamese member of ESCO. As you may know Lunar New Year is the most special and sacred festival of Vietnamese. 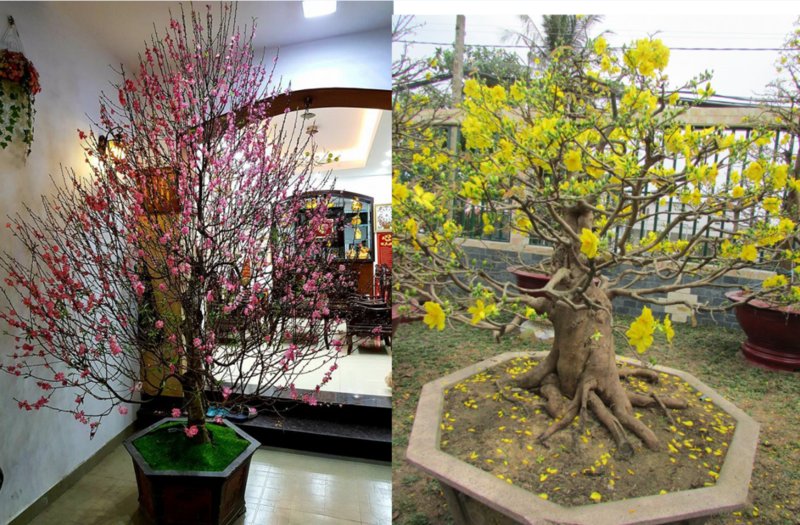 I hope this brief blog can introduce Viet Nam’s Lunar New Year to you. Vietnamese people have a simple name to call our Lunar New Year : “Tết”. We celebrate Tet holidays in three beginning days of Lunar Year. Because that’s the beginning of spring so weather is perfect for enjoying the festival atmosphere, the whole country is bathed in the warm glow of the new year sun. “Mai” and “Đào” are 2 crucial flower plants of Tet. In the North of VietNam, every family decorate their house with bots of Dao while the South is entirely covered by the yellow of Mai. These flowers only bloom once a year so people have to take care of their flower appropriately so that Dao or Mai bloom at the right time in Tet. “Banh Chung” is a essential traditional food in Tet. 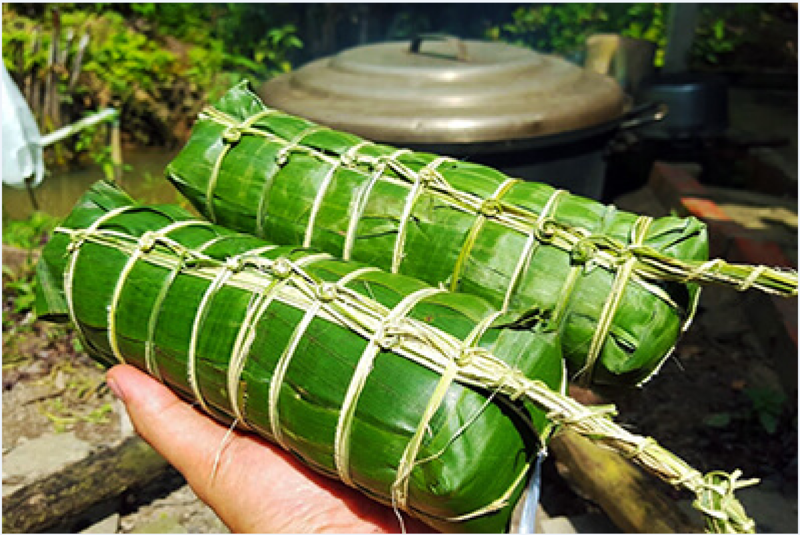 It is a big rectangular cake made by sticky rice with pork , green peas and pepper inside, wrapped by layers of green wrapping leaves. Another kind of Banh Chung is called “ Bánh Tét”, that is in cylinder shape instead of square. Banh Chung is popular in the North, while Banh Tet is beloved in the Middle and the South. I love the taste of these cakes, but eating them too much is a culprit of gaining weight quickly after the holidays. This year, I also brought a couple of Banh Chung from VietNam to Japan for making a small party with my VietNamese colleagues in Lunar New Year. In Viet Nam, We have a variety of interesting customs in Tet. Pre Tet activities include tidy up and decorating the house, making Chung cakes, visiting and cleaning ancestral graves. During 3 days of new year, people spend most time on visiting relatives, friends and colleagues. Tet is an occasion for Vietnamese to think about the last year and their plan in next year, so people always give to each other the best wishes for the new year. Children love Tet because it is an opportunity for them to receive lucky money from adults. There is a funny truth that people try to avoid argument or saying any bad things in Tet. 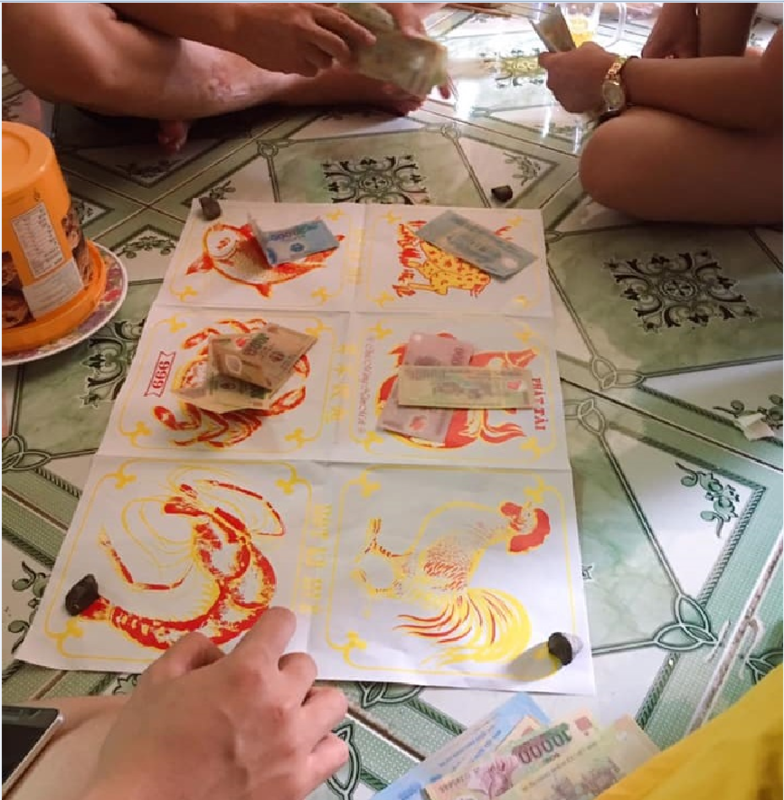 Young people love to play tradition gambling games to evaluate their fortune, if lucky and play well we can win some money but no one feels sad when lose in the funny games. Parties are held everywhere, so it’s very easy to get drunk these days (○^∇^)_旦. In addition, companies usually give big bonus salary to their employees before the Tet. It is a chance for millions people to leave big cities and visit their hometown, Hanoi and Ho Chi Minh city become very peaceful and quiet these days. If you are planning to visit Vietnam, I highly recommend you to take a trip in Tet holidays to discover a very different beauty of VietNam.